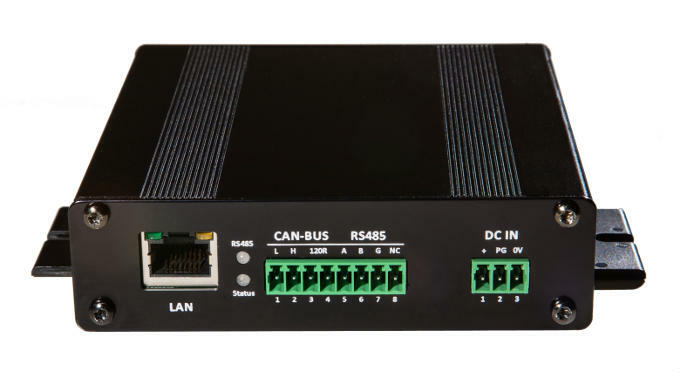 This product has been specifically designed to provide industrial customers with a rugged, fully packaged Industrial IoT Edge Gateway device for direct or re-sale usage. Like the MyPi IoT Integrator platform the Edge Gateway unit utilises the Raspberry Pi Compute Module, allowing users to leverage the most widely supported and easiest to use development platform available. This enables swift migration of any existing development work done using a standard Raspberry Pi. 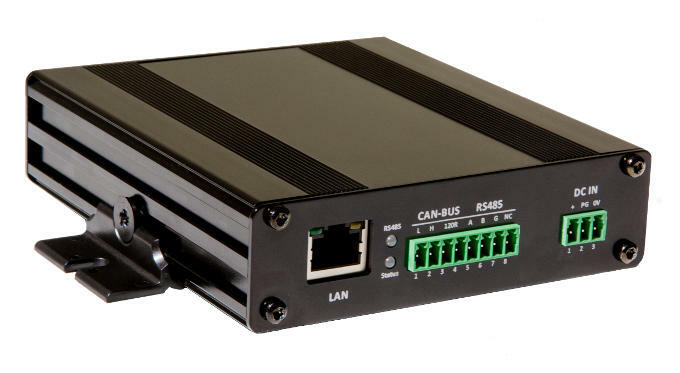 Built in ruggedised RS485 & CAN-BUS interfaces give direct support for common industrial communication protocols, the Edge Gateway can also be fitted with a range of modular RF cards for communicating with LoRa, Bluetooth & Zigbee wireless networks. 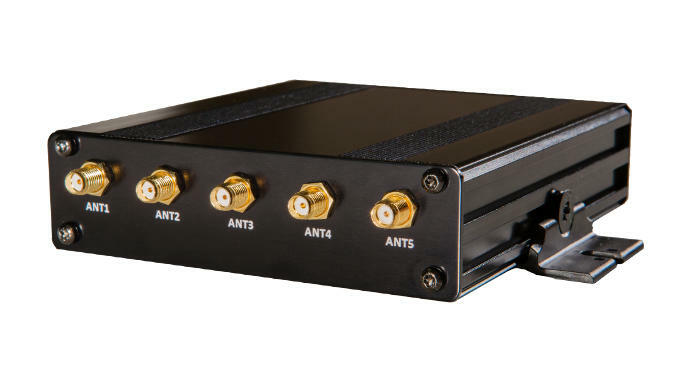 Where deployments require cellular data links the Edge Gateway unit can also be configured with 3G/4G Cellular modems, including GPS functionality for easy asset tracking. On-board power control features enable usage in battery driven automotive environments ensuring the MyPi IoT Edge Gateway is ideal for deployment in diverse industrial IoT applications. The IO capability of the MyPi Industrial IoT Edge Gateway unit can be expanded easilly by using one of our pre-certified mPCIe RF IO Cards. 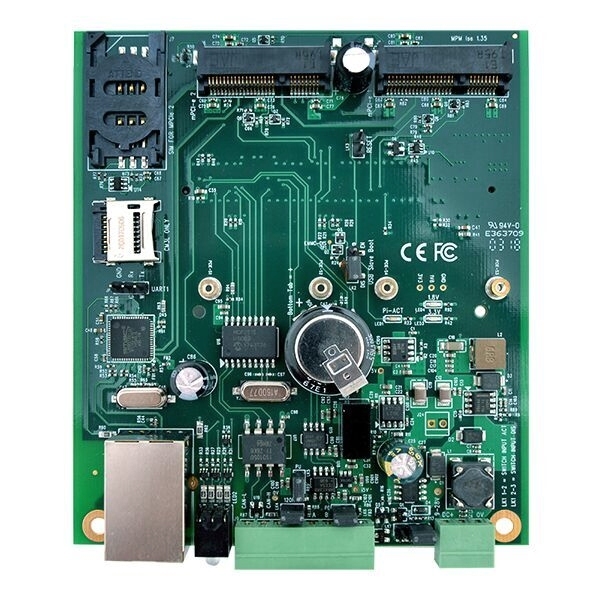 Industry standard protocols like Zigbee, LoRa & Bluetooth BLE are easilly added to the Edge Gateway by fitting the appropriate card and connecting up to an antenna output. The MyPi Industrial IoT Edge Gateway unit can be optionally laser printed with your company's logo giving a crisp and weatherproof finish. With low start volumes this provides the perfect way to provide end-to-end branding of your cloud IoT service. The MyPi Industrial IoT Edge Gateway uses our smallest mainboard design, measuring just 11 x 10cm, with the Raspberry Pi Compute Module fitting to the underside. Is the Raspbery Pi Compute Module Included? Yes. The MyPi IoT Edge Gateway unit comes fitted with a Raspberry Pi Compute Module 3/3+, preloaded with a fully configured Raspbian image ready for use. Is the IoT Edge Gateway suitable for automotive use? Yes, the IoT Edge Gateway has built in features to support running on main battery feed without draining it flat making it ideal for automotive applications. Is there any documentation for MyPi IoT Edge Gateway? We provide sample code and documentation to help you configure the MyPi IoT Edge Gateway, IO cards, Modems etc. here and here. What IO Cards are available for the MyPi IoT Edge Gateway? 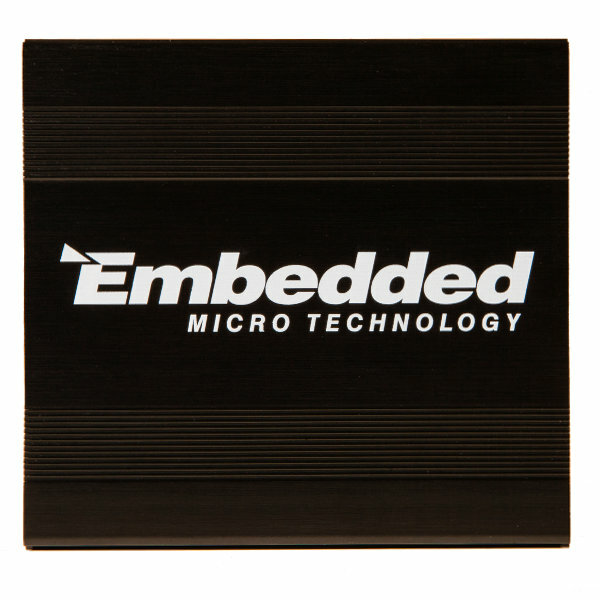 Click here to see the full range of mPCIe cards available. Where can I find pricing for the MyPi IoT Edge Gateway?